What a shame these exclusivity rights are. JB — it’s not an all-time greatest list, just my favorites… I’ll agree that The Show may be better than those games, but I can’t rank it since I’ve never had a PS3. As for 2K8, I felt that Brinkman’s improvements really made the game great. 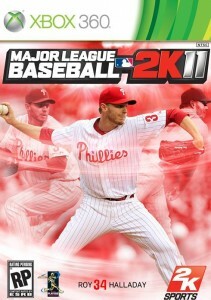 It got horrible reviews and the online was buggy as hell, but overall it was the closest thing to Baseball Stars for me.